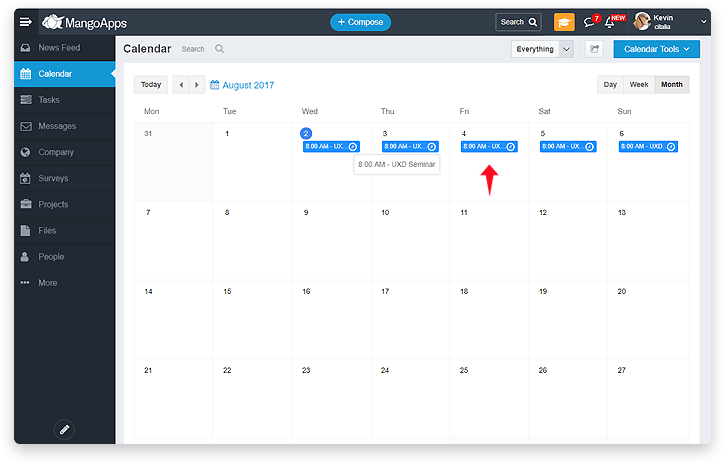 /Calendar & Events /How to Create Recurring Events in Mangoapps? 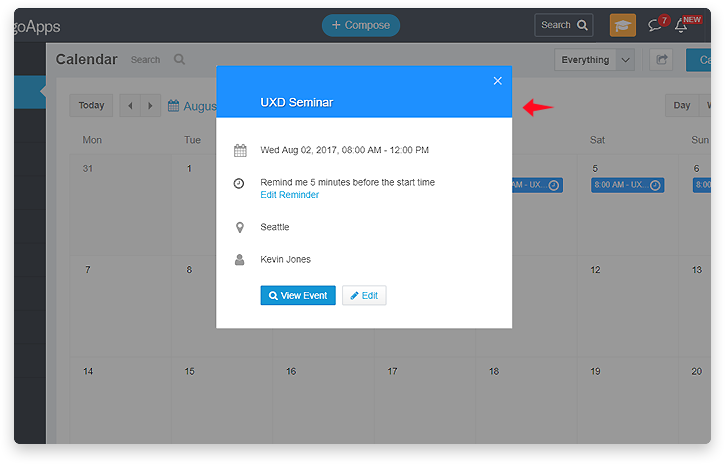 MangoApps allows users to create Recurring Events inside the calendar and in projects. 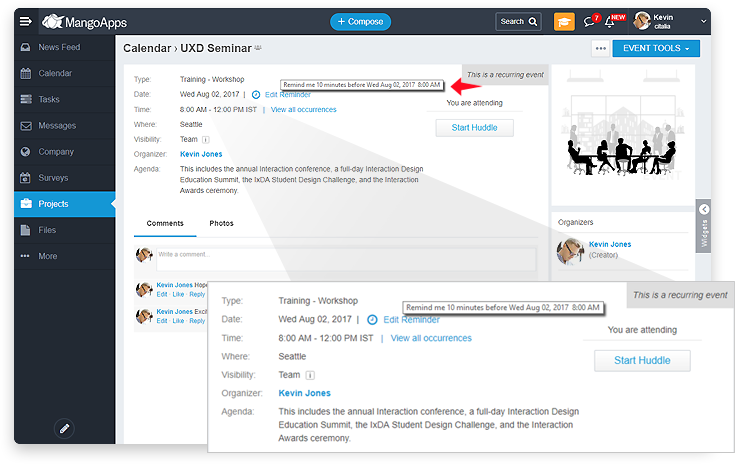 This helps when planning events that need to occur more than once, such as daily or weekly meetings, training, appointments, or workshops. 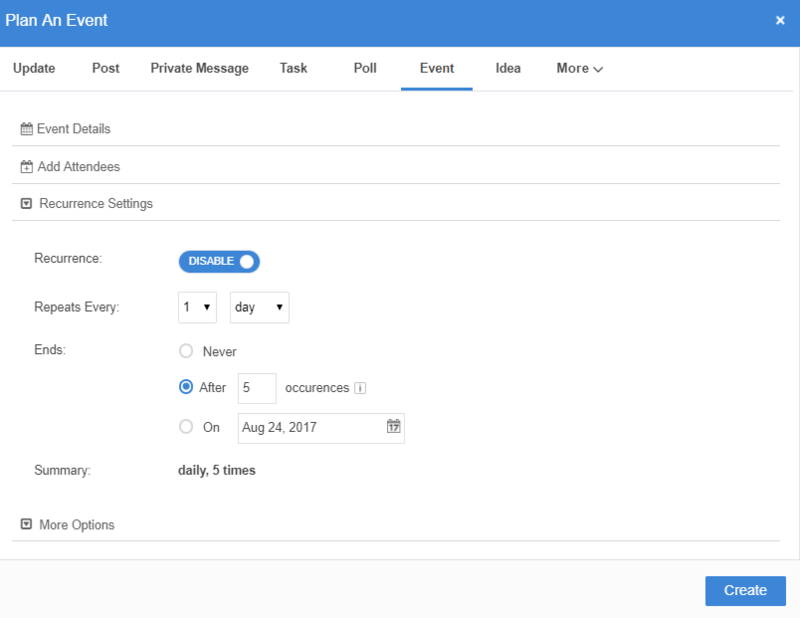 Recurring events helps users being notified of repeated tasks. 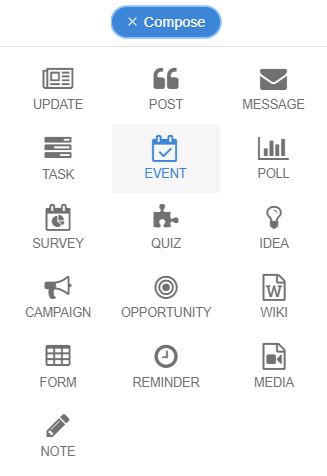 Below are the steps how you can create Recurring Events in MangoApps. 4. You can also choose when the event stops repeating. By default, it will repeat for five occurrences, but you can change the number of occurrences or make it stop on a specific date or have it run forever. Maximum of 99 occurrences are supported. 8. For all invitees, you can set an auto-reminder to be sent out some minutes prior to the start of the event. Refer link on Smart Reminders for more details.